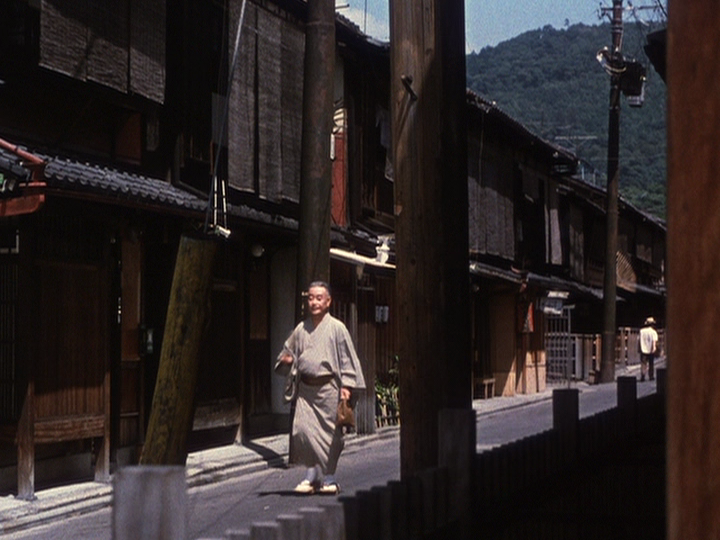 Ozu’s penultimate film The End of Summer (小早川家の秋/ Kohayagawa-ke no aki , 1961) captures on film a world that was fast disappearing in the early 1960s: the traditional streets of old Japan. The story of the Kohayagawa family, who are having to face the fact that the family sake brewery that has been in their family for generations will have to modernize in order to survive, is also the story of a modernizing country. It is evident in the contrast between the dark but airy wooden houses of Kyoto and the bright lights of the concrete, windowed buildings of Osaka. 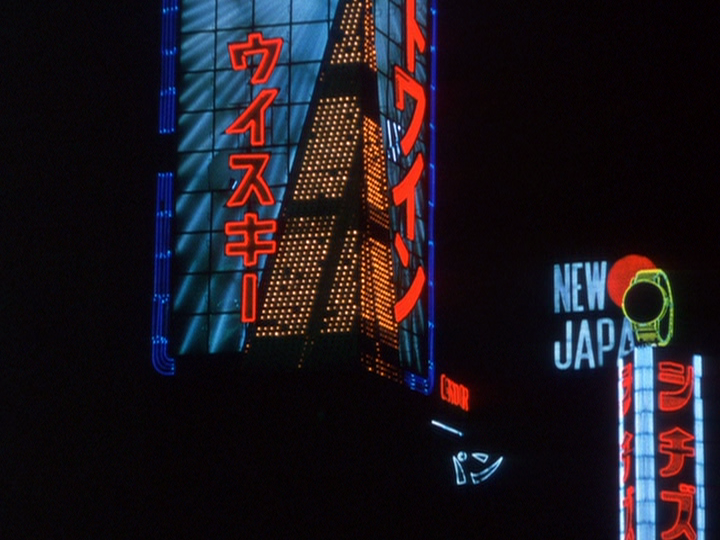 The English title of the film is actually quite different from the Japanese one, but both titles fit the themes of the film. A direct translation of the Japanese title “The Autumn of the Kohayagawa Family” would have been cumbersome in English and the film is indeed set at the end of the summer. All the typical signs of late summer in Japan are present: the ever-present song of the cicadas, traditional fans to ward off the heat, the red flowers, and the eating of watermelon. 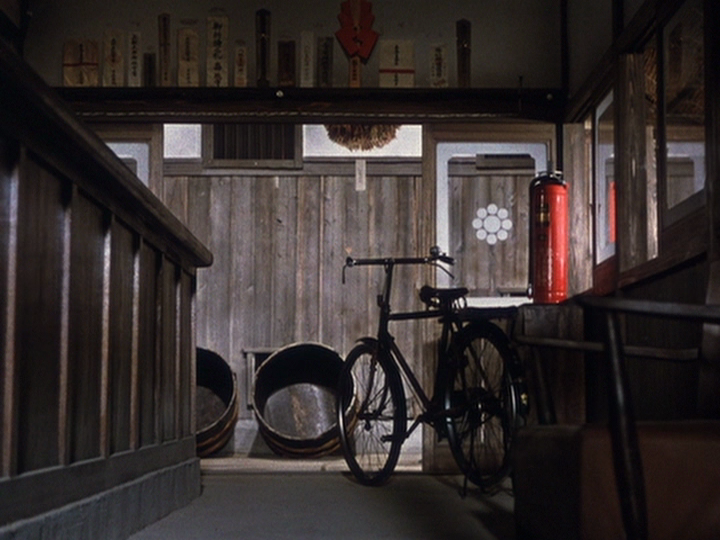 The Japanese title uses autumn as a seasonal reference to demonstrate that that a changing of the guard is about to take place in the Kohayagawa family: with the patriarch Manbei Kohayagawa suffering from heart troubles and trying to enjoy his final days as much as he can by hooking up with an old mistress and betting on the bicycle races. 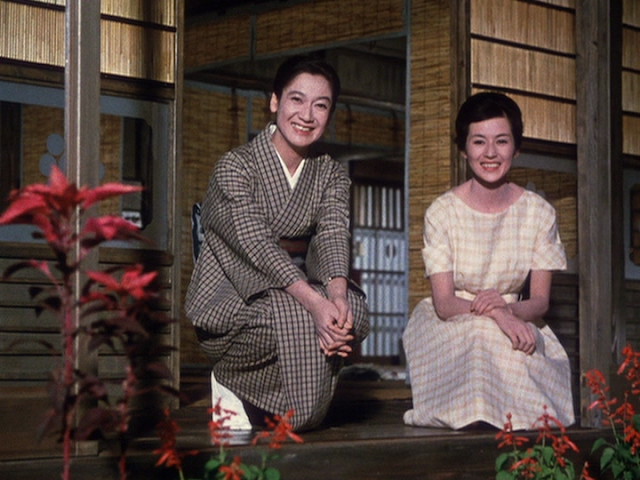 As the contemporary poster (above) for the film clearly demonstrates, the real heart of the story are the lives of Kohayagawa’s three daughters (with a possible fourth, if you count his mistress’s adult daughter Yuriko). who represent the contemporary generation of the family. Despite the feeble efforts of the men in the Kohayagawa family to intervene by way of matchmaking attempts, each of these women demonstrate the new freedoms that women had in the post-war years to choose the direction their lives would take. The married daughter, Fumiko, clearly pulls the strings in the family, keeping the family unit stable and preventing the men in the family from intervening too directly in the marriage plans of her sisters. The eldest daughter, the widowed Akiko, must decide whether or not to marry or to continue as a single mother supporting her son through her modest, but respectable job at an art gallery. 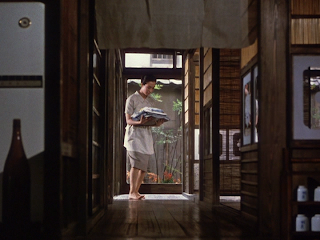 The youngest daughter, Noriko, must decide whether or not she should marry for money or for love. 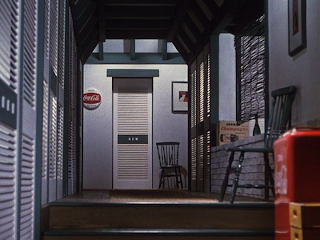 The reminders of changing Japan seem to be embodied by the colour red in the film. 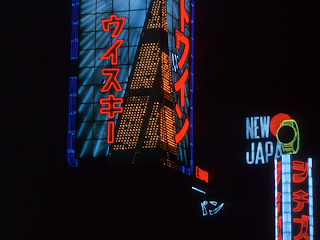 The red first appears in the opening credits, then repeats itself in the lettering of street lights of Osaka including the red circle associated with the Japanese flag, and then the colour red is repeated subtly throughout the film – the red of Coca-Cola, the red accessories, the red fire extinguisher, and so on. 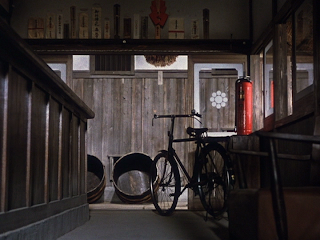 The frequent use of red flowers is particularly interesting because Ozu has used the higanbana as the titular symbol of his 1958 film Equinox Flower . Most of the identifiable flowers in The End of Summer are not the higanbana (aka red spider lily) - though often they are too far away to tell properly. Symbolically however, the higanbana is quite suitable to the themes of the film, arriving as it does at the end of summer and its association with Buddhist rituals concerning death. Are those Higanbana I spot in the background? Possibly. in order to keep pests like mice away (their bulbs are poisonous). The modernization of Japan is also suggested by the encroachment of Western dress, language (Yuriko saying ‘Bye-Bye’ almost seems to startle Kohayagawa), business methods (big companies swallowing up family run enterprises), and Yuriko’s string of “American” boyfriends. 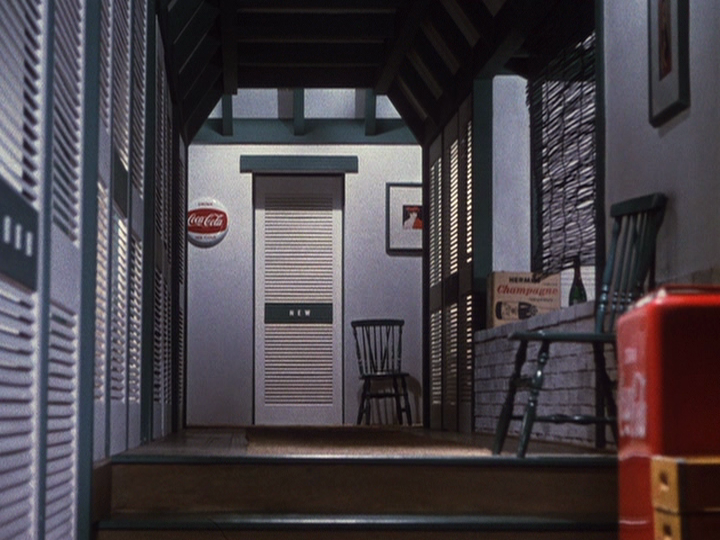 On the whole, the film is a delightful blend of comedy and pathos. The sight of Kohayagawa traipsing through the streets of Osaka in his geta trying to elude the company manager, or of him playing kakurenbo (hide-and-go-seek) with his grandson are truly hilarious. 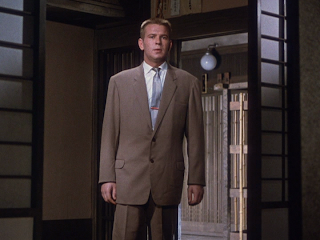 There are also unintentionally funny scenes such as Yuriko’s “American” boyfriends dropping by to pick her up – I don’t know who these two uncredited gaijin were but they were clearly not native speakers of English. Fortunately, their awkwardness fit the thematic concerns of the film so it was only a passing distraction. 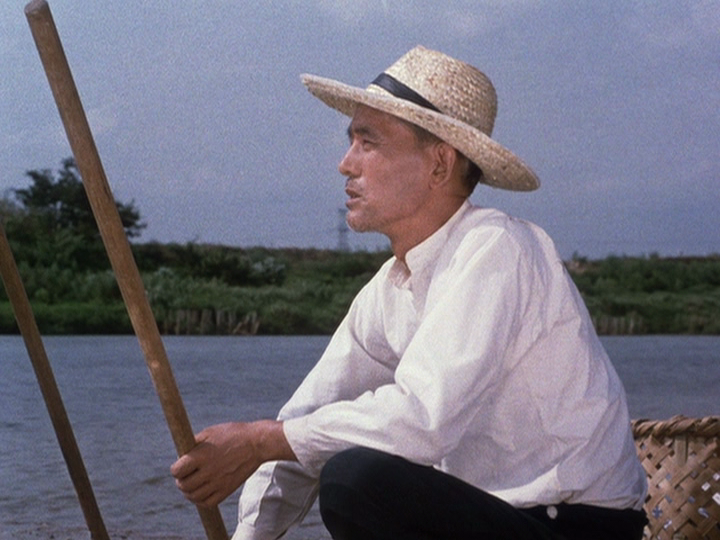 A true highlight for fans of Ozu’s films comes near the film's conclusion, when Chishū Ryū (star of Tokyo Story , Late Spring , and so on) makes a cameo appearance as a peasant working on the banks of the river. 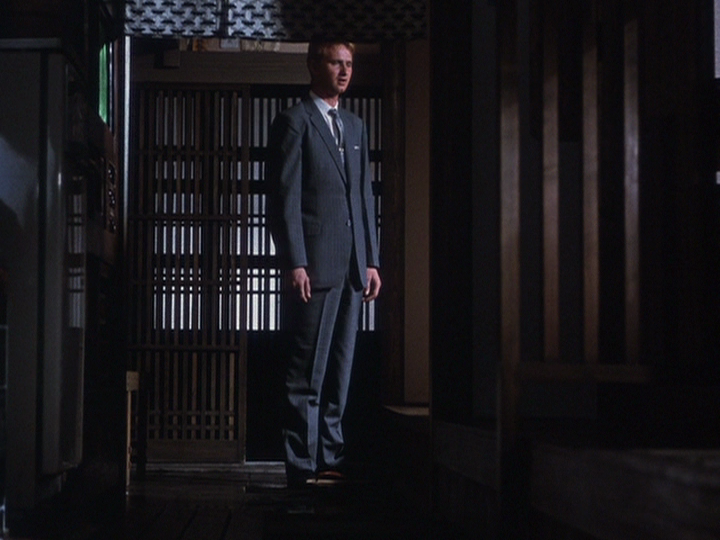 He is given the poetic final epitaph of the film reminding us of the Buddhist view of the cycle of life, death, and rebirth.